The Phoenix line of boats. It has risen to redefine quality, performance and fishability. The PatentedDiamond Vee hull design insures a superb on-plane time, superior turning capabilities and a dry rough water ride. Fishability is a term that serious anglers know well. Standard features like the large screen Sonar units mounted flush in the modular completely enclosed console and bow and net storage built in the floor are just a few features that define this term. Quality starts with a hand laid hull with Ashland AME 5000 resin, superior knit type fiberglass cloth and all composite construction, and it ends with Tennessee craftsmanship and pride in our work. 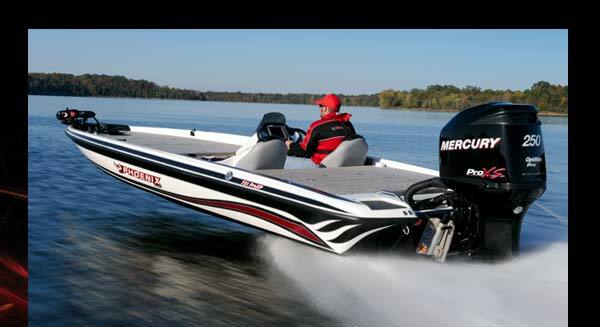 Your choice of Mercury, Yamaha, and Evinrude outboards makes this a rig that will set you apart from the competition.